If you're a more recent fan of the Fire Emblem franchise then you may have been eyeing the newest entry scheduled for release this May. What you may not know, or perhaps haven't fully understood the breadth of yet, is that Fire Emblem Echoes: Shadows of Valentia is actually a remake of 1992's Fire Emblem Gaiden, the second game in the series. I mention this because more modern fans of the series will no doubt have a set idea in their mind of what Fire Emblem is, and Echoes will undoubtedly challenge that. Hell, Gaiden challenged Fire Emblem's ideas when it originally released, trying all sorts of crazy different stuff that didn't stick at the time. It's too early to say how many modern amenities will be brought to the remake, but thanks to an appearance in Weekly Famitsu we do have a couple of details on it. First up, the difficulty system that modern entries have adapted will indeed be making a return in Fire Emblem Echoes. This means that you'll have both Normal and Hard options as well as Casual and Classic options for permadeath. There will also be a system in place that allows you to rewind unit movements one at a time, but there's a limit on how much you can use it. In terms of battle mechanics, Fire Emblem Echoes won't feature the old Weapon Triangle staple, instead focusing heavily on Terrain Effects. Essentially, you'll need to make use of the map when thinking strategically, such as positioning your units in a forest to make them significantly harder to hit. Magic ignores these terrain effects, but, to balance that out, it costs health to cast. A couple of new characters were also detailed. Berkut, for instance, is the Rigel Emperor's nephew and a noble who's really hung up on the importance of social status. He's a big factor in the coup d'etat of the Zophia Kingdom. 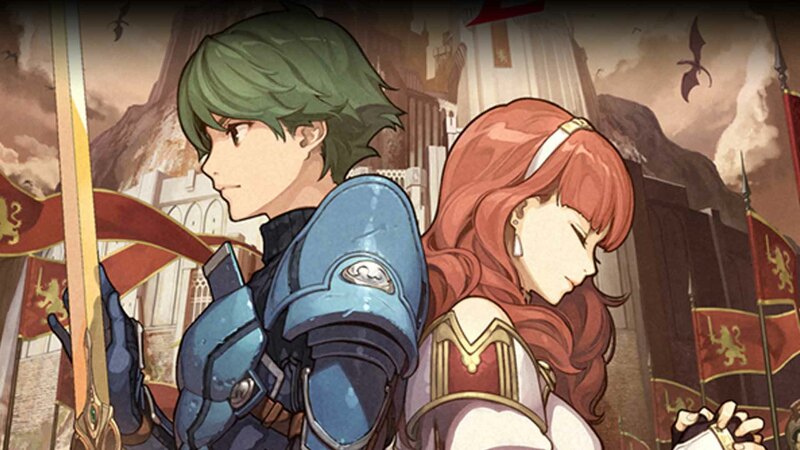 Effie — whose localized name is apparently Faye, to avoid confusion with the Fates character of the same name — is the childhood friend of protagonist Alm, and joins the army to stay near him. Fire Emblem Echoes is set to release May 19 for those of us in the West, so keep an eye out if you're interested in trying a more unique entry in the strategy series.